There was once a stigma attached to online dating. It was for the desperate or those unlucky in love. That perception has all but vanished. In a Pew Research Center poll, 59% said that online dating is a good way to meet a potential partner, and over 49 million Americans have tried it with the best online dating sites. If you’re single in the Digital Age, it’s unusual not to be looking for love online—or at least to have taken a swipe at it. Whether you want to date casually or find a life-long partner, online dating is an effective way to make a romantic connection. And it’s more popular than ever with a whopping 66% of singles have dated someone they met online, according to Statistic Brain. Online dating is now a $2 billion industry. There are more than 2,500 online dating sites and mobile apps in the United States. Tinder alone logs 1.6 billion swipes daily, and eHarmony is now responsible for nearly 4% of all U.S. marriages. And about one in five relationships now starts online. If you’re ready to try online dating, read our reviews of the best online dating sites and our details of everything you need to know before you start. Answering fun, thought-provoking questions can help you find the right partner. That’s the philosophy behind OkCupid, one of the best online dating sites. Founded in 2004, the site connects people by asking a series of questions that range from practical to penetrating to downright quirky. (“If you could kill all the mosquitoes in the world, would you do it?”). Your responses provide valuable information that the site’s algorithm uses to match you with like-minded daters. What draws 10 million visitors to OkCupid each month? For one, it’s free, although they’ve added A-List, a paid membership option ($19.95 for one month) that lets you browse profiles anonymously as well as see who liked you. Also, signing up is fast and fun. Rather than being forced to fill out an endless questionnaire, you’re only required to answer 10 questions (though you may choose to answer many more) before diving in and messaging potential dates. The more questions you answer, the more data you give the algorithm to help you find compatible matches. When browsing, every profile you see has a compatibility percentage that’s determined in part by your answers. Open to all genders and orientations, the site has a large, diverse user base, and it’s growing in popularity. An estimated million members download the app every week. A-List membership: The company offers a premium paid membership called A-List. Benefits include seeing who’s visited your profile and who’s liked your profile, and you’re also shown to more members. Customized search tools: To find the perfect partner, you get to personalize your search using lots of keywords and specific interests that matter to you. Few free sites afford users so many search options. Easy sign-up: Short attention span? No sweat. You can reply to as few as 10 revealing questions (“Do you believe dreams have hidden meanings?” and “Are you afraid of death?”) and immediately begin swiping and matching. But don’t hurry. The more you answer, the more data the algorithm has to better match you to potential dates. Free membership: Unlike most dating sites and apps, OkCupid lets you create a profile and send and receive messages, all without paying a penny. Good results: Members who put in the time and effort report getting lots of matches and dates. Compatibility concerns: Though the elaborate question-based algorithm is a blast and worthy of praise, you wonder if some of the quirkier queries (“Would you like to be the supreme ruler of earth?”) have any real bearing on finding a good match. Too many dabblers: Because the site is free and the user base is massive, you’re going to find more dating dabblers here than on paid sites. This can mean it takes longer to find someone who’s seeking a real relationship. A trusted site that turns 25 next year, Match is a true industry pioneer with a fantastic reputation among the best online dating sites. It boasts the largest user base in the U.S. with 35 million unique visitors each month. 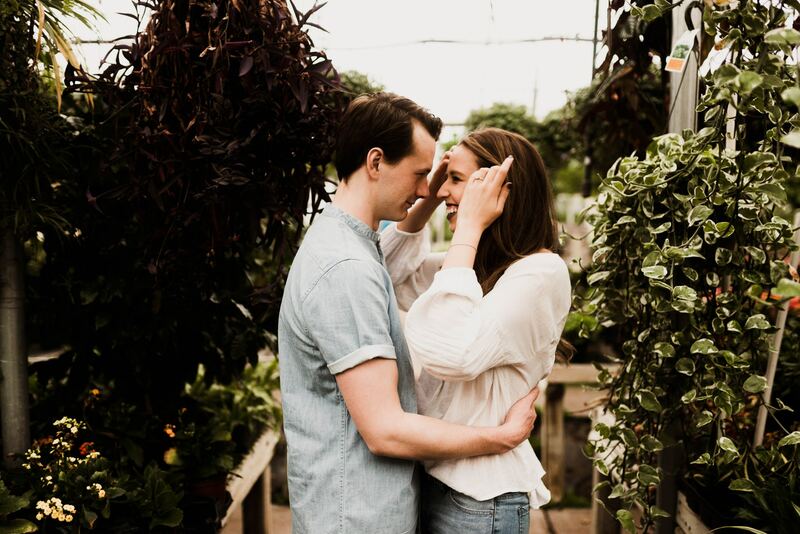 Whether you’re looking to date casually or find a lifelong partner, it’s fair to say that Match has brought more couples together than any other dating site. Period. The signup process takes less than 30 minutes. Every day, members receive seven matches. While offering lots of features — you can search, wink, like and message — the platform is intuitive and easy to use. Match is diverse and democratic, fairly evenly divided among Millennials, Gen-Xers and Baby Boomers. The user base is high-quality with more than 80% of Match members having attended college. The company reports that in the U.S. alone, it has helped start 10 million serious relationships and led to more than 1 million babies being brought into this world. Daily matches: Its matching algorithm gives you seven new suggested connections every day. One-hour boosts: Match has added a one-hour “boost” that increases your profile’s visibility, making it easier for others to find you. Search-friendly: The site’s search tools let you micro-target by looks, age, distance, various interests, lifestyle and keywords. Strong guarantee: The company promises that you’ll find a special someone to date within six months. If you don’t, your next six months of membership will be free. Free membership: The unpaid option gives you little apart from a sense for navigating the site. You can’t read or send messages. This means that if you’re a paid member and you message a user who happens to be unpaid, they won’t be able to see your message. PlentyOfFish is, well, a big fish in a big pond among the best online dating sites. What started in 2003 as a hook-up site has evolved and grown. A free site, PlentyOfFish has shifted toward helping people find meaningful relationships. You could say it falls somewhere on the dating-site continuum between hot-and-heavy Tinder and till-death-do-us-part eHarmony, making this website one of the best online dating sites. “POF,” as members call it, draws 23 million unique visitors monthly, giving it the second-largest user base in the U.S. behind Match. The company says that 30% of new members are dating someone within a month of signing up and that it’s responsible for 1 million relationships each year. For a free site, the search tools are advanced. A basic search gives you 14 features to weigh, and advanced options let you hone in on nuanced personality traits so that you can find like-minded daters. No fees. Fast results. A massive membership. No wonder so many singles are going fishing. Big pond: This site is aptly named. It has more than 100 million worldwide users. Free membership: PlentyOfFish lets users search and message each other, all for no charge. That said, there are premium membership options that start at $12 per month. Interactive needs assessment: A fun questionnaire reveals your relationship needs and explains how understanding those needs can help you in your next relationship. Spark feature: The innovative Spark feature lets you highlight an intriguing part of someone’s profile — say, a photo or a quote — and use that copied snippet in a message. Site experience: A so-so design hurts the user experience. Both the app and the website could use a redesign. Many dating sites ask what you want in a potential partner then try to match you accordingly. But on Zoosk, it’s not about what you say. It’s about what you do. The site’s behavioral algorithm “learns” your dating preference, so it can put the right possible partners in front of you. This incentivizes you to visit often because the more you browse, click and message, the better the algorithm dials in on your preferences — and the better your matches will be. This clever blend of online dating and social networking (Zoosk integrates with sites such as Facebook and Google+) is packaged in a lively, engaging platform. According to the company, Zoosk members send 3 million messages daily, and there are more than 11.5 million unique visits each month. Only Match and Plenty of Fish have more. Oh, and how’s this for an innovative feature? Photo verification technology prevents members from posting photos that were taken 20 years or 20 pounds ago. Carousel feature: This Tinder-like feature lets you swipe on photos, all while the site gathers data about who you like and don’t. Live chat: This option means you might be mere minutes away from swapping messages with someone and setting up a date. No scams/fake profiles: Zoosk is an industry leader in taking precautions to all-but-eliminate fake accounts. Smart algorithm: The proprietary Behavioral Matchmaking engine learns from the way you click and message. No filter: As with Match and some of the other best online dating sites, non-paying members are not filtered out, so you might waste time and energy messaging someone who can’t write you back. Less a dating site than an upscale digital matchmaker, eHarmony hasn’t changed much since it launched in 2000 — and why would it? This is one of the best online dating sites, and it gets six million visits monthly. A Harris Interactive survey found that on average 438 eHarmony couples marry every day, and eHarmony says that almost 4% of all marriages in the U.S. start with this company. eHarmony uses its innovative Compatibility Matching System algorithm, which is based on years of hard-earned user data. When you join, you spend a good 45 minutes filling out a registration questionnaire. Next, the algorithm matches you with others based on 29 compatibility factors. According to the company, their matching model eliminates 99% of people who aren’t right for you. The process includes a personality test. You answer questions on a 7-point scale, ranging from “Not At All” to “Very Well,” and you choose identifying words and statements that describe you. Plus, there are lifestyle questions involving your wants, needs, goals, desires, occupation, income and what you want in a partner. Anti-Tinder: If you’re on eHarmony, you want a long-term partner, not a hookup. Everything about the site — its premium price, its exhaustive signup process, its elegant page designs — conveys class and connection. And you only see profiles of people whom the site deems a compatible match. Matching algorithm: Lots of dating sites use an algorithm, but eHarmony’s goes the extra mile, matching you with others based on 29 compatibility factors. Profiles with personality: eHarmony profiles are gorgeous, resembling a digital scrapbook or your own home page. This lets you express your sense of humor, share your passions, and tell your audience what you’re grateful for. Delayed gratification: The in-depth sign-up process lasts longer than some dates! And there’s no searching allowed, which might turn off those who like the window-shopping aspect of online dating. High price: At $60 per month, eHarmony is among the most expensive dating sites. There’s a free, basic account, but it doesn’t let you send or receive messages. Dating is expensive already with pricey meals and drinks, and eHarmony is not easy on your wallet. When diving into online dating, your first decision is simple: paid site or free site? You have good options in both categories. Match and eHarmony will run you $30-$60 per month, and Zoosk’s fees range from $12 to $30. OkCupid and PlentyOfFish let you create a profile and message people without any cost. While free sites can deliver results, the old adage tends to hold true: You get what you pay for. According to Vida Select, a done-for-you dating concierge that crafts profiles and sends messages on behalf of their clients, paid sites get you more dates. Messages sent on paid sites were 47% more likely to get responses than those sent on free sites, the company reports. And of the messages that drew replies, the ones sent on paid sites were 44% more likely to end in a date. Paid sites have another edge over even the best online dating sites that are free. There’s an expression in the online-dating world: “Payers aren’t players.” In other words, those who crack open their piggy banks to invest in online dating aren’t just out for a one-night stand. Nor are they likely to just be killing time or treating it like a video game. Rather, those who are financially invested in online dating tend to take it seriously and to be seeking a committed relationship. A paywall weeds out a lot of the players and dabblers. Also, keep in mind that sites put some of their best high-tech features behind that paywall, so not investing a little cash in your online dating means that you’re missing out on some fun innovations and benefits, such as prime-time profile boosts that get you a lot more eyeballs. All that said, there are advantages to free dating services. First of all, free sites are a great way to test-drive online dating to see if it’s right for you. A Consumer Reports survey found slightly higher satisfaction rates among those who use unpaid sites, compared to those on paid sites — perhaps because users on free sites saw more perceived value. The smart strategy? Try both, if you can afford it. Many daters have profiles on multiple sites/apps. Another approach is to first test the waters of a free site to make sure you enjoy the online-dating process. If you do, pick a paid site that appeals to you and that aligns with your dating goals. After all, for the monthly price of a couple of cocktails, you might find true love that lasts. Online dating has three big advantages over traditional dating. First, you know that pretty much everyone is single and looking. In marketing terms, these are “warm leads.” Compare this to, say, walking into a bar or going to a party, striking up a conversation with an attractive stranger—and having no idea if that person is single or available. With online dating, you can be confident that you’re connecting with people who are on the market. Whether or not you have enough in common with them or have chemistry, well, that’s another matter. A second edge that online dating offers is the ability to be selective in your search. If you absolutely must marry someone who speaks Italian, loves Will Ferrell movies and enjoys hiking, those traits are totally searchable. This means that when you and your first date finally meet, you’ll know you match nicely, at least on paper. The third big advantage of online dating? Access to lots of fellow singles. Once you launch your profile, you are a few clicks away from millions of available daters who want to meet someone. Online dating is also a boon for introverted types. Not everyone is cut out to meet people at bars or to approach them in the real world. For shy types, online dating is ideal because a given site or app does the ice-breaking on your behalf. For a lot of people, that’s the hardest part of dating. Traditional dating has a lot going for it, too. When you meet someone for the first time in person, you can tell early on if you have chemistry and connection. Dating and falling in love can feel more organic this way. Also, depending on how you met — fixed up by friends, met at a bar, kale-shopping at Whole Foods — traditional dating can give you a great “meet cute” story to tell for the rest of the relationship. Being able to approach someone in the real world takes loads of confidence and can help ignite mutual attraction. The one who approached can bold and confident, and the one who was approached is often impressed and attracted. The smart move? Give online dating a try while also being open to meeting people in the traditional manner. Learn which method better suits you. If you’re the outgoing type, you might gravitate toward old-school dating. If you’re introverted, the bar scene may not be for you, in which case having a digital matchmaker on your side will help. Whichever avenues you take, find that sweet spot that gets you results (dates with cool people) and you enjoy. Dating should be fun! Cool innovations: Dating sites keep innovating every year. A site called How About We lets you make your first date a “meet cute” activity that you both enjoy (think paintball or pub trivia). An app called Happn uses geo-targeting technology to connect like-minded people who have literally crossed paths, within a 250-meter radius of each other. New ideas like this pop up on the best online dating sites frequently. Convenience: There’s no need to go bar-hopping to hunt for a significant other. You can swipe, type, message and flirt all while sitting at home in your pajamas. Easy access: Once you launch your profile, you’re just a few clicks away from literally millions of other singles. Good success rate: According to Statistic Brain, one in five relationships start online. The jury is in: online dating works, and in the Digital Age, dating sites will likely become even more popular. Good value: Several sites are free, and almost all paid sites are under $60 per month. Compare that to the five-figure fees that high-end matchmakers charge! Shared interests: Sure, your pretty face won’t hurt you when it comes to online dating, but having commonalities are more important. 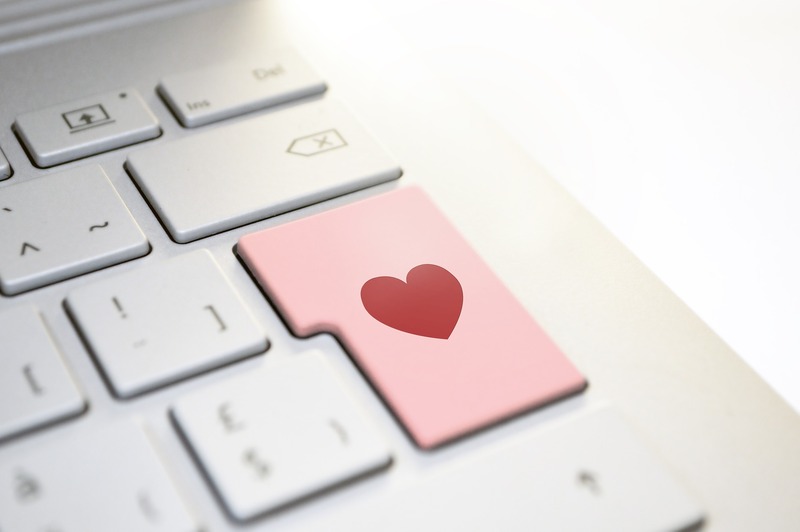 In one survey, 64% of those polled said that finding shared interests was the most important factor when looking for love online, compared to 49% who ranked looks at number one. Liars/scams: Dishonesty is a concern. According to Phactual, more than half of users either mislead or outright lie on their dating profiles. Some 20% of women use photos from when they were much younger, and 40% of men lie about their jobs. Even worse, one out of 10 profiles is fake, according to the F.B.I., which annually fields thousands of “catfishing” scams. Consider running a background check before meeting someone for a first date to make sure they are who they say they are. Potentially addictive: To keep you engaged, many sites and apps use some of the same psychological techniques that make casino games addictive. The gamification of dating sites can keep you craving the dopamine hit of that next match rather than wanting a date with a potential significant other. Time-consuming activity: Crafting the perfect profile, messaging back and forth, going on dates — all of these things take time and can burn some people out. Overall, we think that online dating is an excellent opportunity to met people and potentially the person who will become “the one.” If you’re not sure which dating service to use, read our detailed reviews of the best online dating sites to try. Our expert writer is dating coach Connell Barrett. He shows men how to channel their most authentic, confident selves so that they can connect with amazing women. 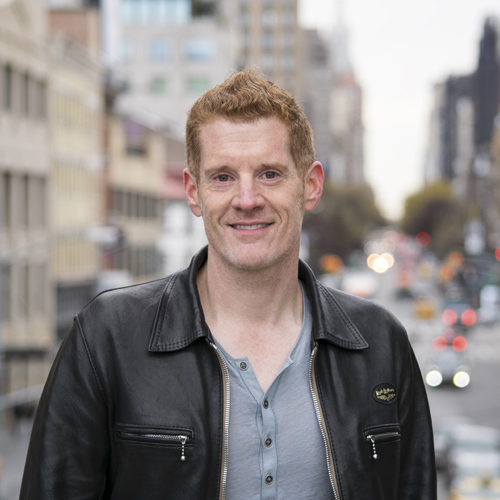 Connell spent a decade training with top dating and self-development experts, including Tony Robbins’ training program, before starting DatingTransformation.com. He’s helped thousands of guys become better daters and better men. 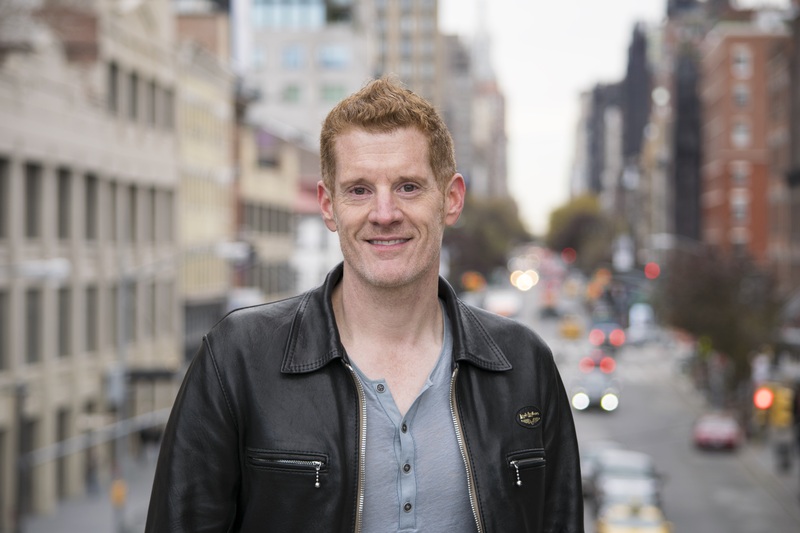 His media appearances include Access Hollywood, Oprah Magazine, Fox News, Maxim, Bustle, Elite Daily, and TimeOut New York. Book a free strategy call with him today!